Installing CCTV cameras in and around a domestic property is considered a basic security precaution nowadays. Not only do the cameras act as a deterrent to any opportunistic thieves who wouldn’t take kindly to appearing on the next episode of Crimewatch, but they can also provide valuable evidence for the police if a break-in does occur. 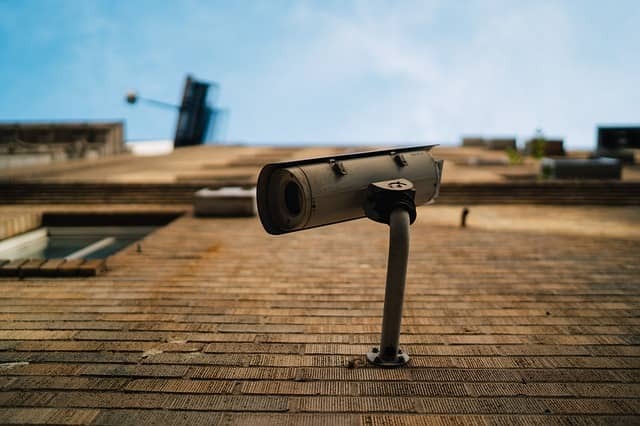 With that in mind, installing a state-of-the-art CCTV system should be considered a priority for any homeowner looking to safeguard their premises. It goes without saying that cameras should be strategically placed around the exterior of a home to provide surveillance of major entries points, such as the front and back door, as these are the areas which are most likely to be targeted by criminals. But is it necessary to install CCTV inside the house as well? Of course, internal CCTV is unlikely to prove much of a deterrent to break-ins happening in the first place, but it could make all the difference in securing a conviction if disaster does strike. There is a possibility that a single CCTV camera positioned at the front door would capture a good enough image of the thief to warrant a conviction – but it’s unlikely. Seasoned criminals are likely to wear a mask or other disguise while they are outside and in full view of any passers-by, so the chances that they’ll expose their identity to an external camera is slim. Conversely, once inside the property, they may well relax and become complacent, removing their disguise and allowing internal CCTV cameras to take a quality snapshot. Furthermore, the burglar(s) are more likely to spend an extended period of time inside the house as opposed to outside it. Their main priority when still outside will be to force entry, which could occur within a matter of seconds. After gaining entry, they will be more likely to take their time searching for the most valuable possessions on the premises, meaning there are more chances for the CCTV to get a good shot of their face and identify them. Finally, the lighting inside a home is often far better than outside, facilitating the capture of quality images which can be invaluable in a court of law. Ultimately, the decision to install CCTV cameras inside your home as well as outside is one that’s up to you – but there is certainly merit in the idea. Internal CCTV can also be used as a monitor to keep an eye on pets and as a method of supervising not-so-little-ones while you’re away from the home. Of course, it’s still important to respect the privacy of others in the household and everyone should be consulted and notified of the cameras prior to their installation. In any case, having some sort of surveillance network safeguarding your home is an absolute must in today’s increasingly crime-ridden world. If you’re looking to beef up security around your home or business, get in touch with Assured Security Solutions. Our friendly team are happy to provide impartial advice and a no-obligation site survey free of charge.